In our latest blog we meet Matt, who recently joined South London Cares as our Volunteer & Outreach coordinator. He explains what brought him to the role, describes his first impressions, and reflects on his experiences so far. Winter can be a doubly isolating time of year. 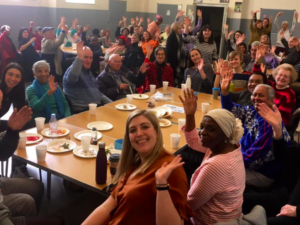 So for the fifth year in a row, from October to March we were out and about helping older neighbours to stay warm, healthy, active and connected – and part of the community. See the infographic and read the report here. 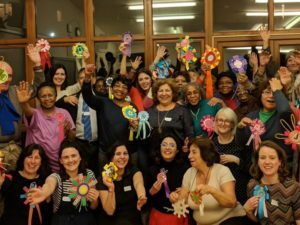 South London Cares is seeking a charismatic, resourceful, creative and ambitious people-person to join our core team in the post of Programme Coordinator (Social Clubs). The successful candidate will design and lead social clubs, bringing people together across social, generational and attitudinal divides. The clocks have gone back, the days are getting lighter and longer, and the seasons are finally changing. Change is the theme of this month's story. While the warmer weather is a welcome change, it's truly inspiring to hear how some of our neighbours have coped with more significant changes to their lives. 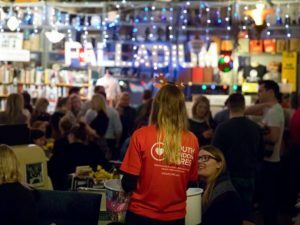 "The idea that the neighbours now feel a better understanding of the venues such as the ones that we've opened, hopefully helps them feel less isolated and pushes their curiosity to visit a bit more." We're thrilled to present South London Cares' Annual Report for 2017/18. 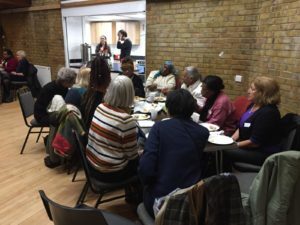 It's packed with details on what we do and why we do it, and stories and beautiful photos of older and younger neighbours sharing time, laughter and new experiences in Southwark and Lambeth. 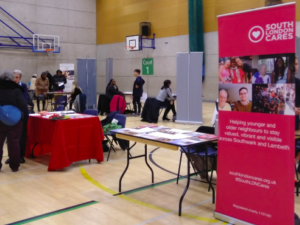 This week we held our first ever Winter Warmer social club; bringing our older neighbours together with local community partners to learn about what's on offer for them in Southwark and Lambeth. 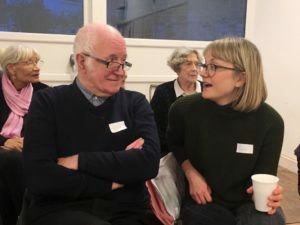 In this blog, we catch up with Alice and Peter and learn about their unique friendship, which started over year ago at a South London Cares choir. 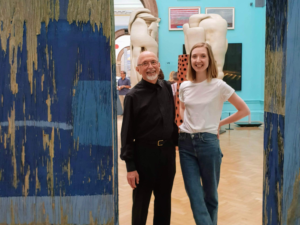 The pair take full advantage of the incredible exhibitions, galleries and shows that London has to offer, but they always find time for a cup of tea and a chat! 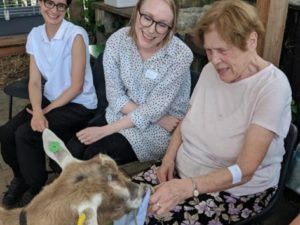 "South London Cares gives me the strength to get out there"
Superstar volunteer Róisín has been talking, walking, dancing, creating and snacking with her neighbours since June 2018. Here she discusses the mutual benefits of attending Social Clubs.